Find out more about how Cognex's unique symbol-decoding algorithms significantly improve read rates for DataMatrix codes that are gaining popularity in automotive, electronics, pharmaceutical, packaging and logistics applications. 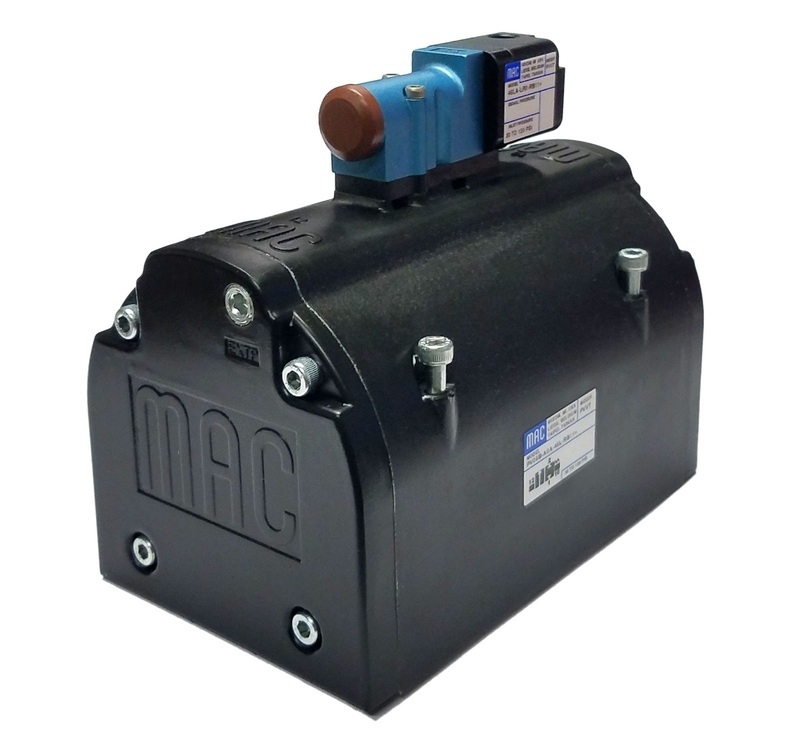 Dust Collection Solutions With MAC Valves - Introducing the new PV B Series! Groundbreaking innovations have produced new technology that will have you re-thinking the way you process your airborne contaminants. Ask your FPE Automation Specialist for details about dust collection solutions. The cost and energy savings are substantial. Don't sacrifice speed and performance because of space limitations. In-Sight® 8000 vision systems deliver more accuracy, larger field of view, and faster pattern matching in an extraordinarily small package. In spite of its small size, the In-Sight 8000 provides full line, stand alone vision system performance complete with industry-leading high-speed tools. In-Sight vision systems offer Power over Ethernet as well as Gigabit Ethernet that supports major industry protocols. Click to watch the video and download the datasheet. 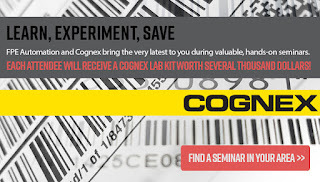 Attend a Cognex/FPE Automation Hands-on Training Seminar and Get a Lab Kit worth Thousands! FPE Automation and Cognex are excited to announce upcoming seminars in Illinois and Missouri. Attend for the valuable training... and a Cognex lab kit worth several thousands of dollars is yours to keep!!! Get details/find a seminar in your area. Vacuum ejector piCOMPACT®23 is now available with the generic IO-Link for smart communication. Taby, Sweden – Entering the arena of smart sensor and actuator communication, Piab is proud to introduce the option to include generic input/output (IO) technology in the company's premium all-in-one vacuum ejector platform piCOMPACT®23. Offered as an optional added feature, IO-Link is a generic communication technology that can be used with any type of fieldbus, enabling users to easily link together different systems within a plant. The first worldwide standard (IEC 61131-9) for point-to-point communication between sensors and actuators, IO-Link is based on the already established 3-wire connection for sensors and actuators, making easy wiring one of its main advantages. Originally developed in Germany, it is gaining popularity in the rest of the world, most notably in the US. ”IO-Link is not exclusive to Piab, and that is actually the whole point of using a generic standardized IO technology. It is precisely because it is generic and fieldbus-independent that it can be used as a gateway to other bus systems used in different parts of the world or within certain industry segments,” says Joseph Karbassi, Vice President of Piab's Automation Division. However, unique to Piab are the company's specially developed and particularly user-friendly software tools for IO-Link. Devices using IO-Link have to have individual IO Device Descriptions (IODDs) to enable configuration by operators. To help customers take full advantage of the new IO-Link feature, Piab has focused on making an IODD for piCOMPACT®23 that is both intuitive and very easy to understand and use. Initially offered for inclusion in piCOMPACT®23, IO-Link will be offered as an option also in other electronically controlled products from Piab. The IODD, along with other user information, can be downloaded from the company's website. Established in 1951, Piab designs innovative vacuum solutions that improve the energy-efficiency, productivity, and working environments of vacuum users around the world. 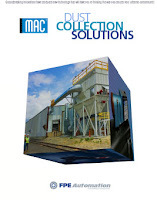 As a reliable partner to many of the world's largest manufacturers, Piab develops and manufactures a complete line of vacuum pumps, vacuum accessories, vacuum conveyors and suction cups for a variety of automated material handling and factory automation processes. Piab utilizes COAX®, a completely new dimension in vacuum technology, in many of its original products and solutions. COAX® cartridges are smaller, more energy efficient and more reliable than conventional ejectors, and can be integrated directly into machinery. This allows for the design of a flexible, modular vacuum system. Piab is a worldwide organization with subsidiaries and distributors in almost 70 countries. Its headquarters are in Sweden. 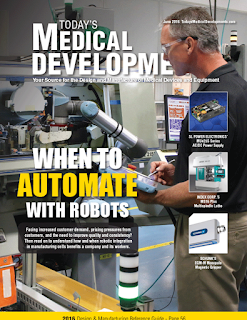 The Universal Robots at Tegra Medical in Boston made the front cover of Today's Medical Developments, where Axis New England's Ryan Weaver does a QA on when to automate with robots.